Describe the GDP Sturcture and Its Phases? GDP is the market value of all final goods and services produced within the domestic territory of the country in an accounting year. The second phase of sustained growth is a very recent phenomenon and began in Europe. A sustained increase in living standards started in Europe sometime after 1500, but it was initially very slow. During the first two centuries it averaged only about 0.1 per cent per annum, which translates into a 22 per cent increase in income per capita over the entire period. Economic progress slowly gathered momentum, averaging 0.2 per cent per annum during the 1700-1820 periods, while from the early nineteenth century it began to grow by about 1 per cent per annum, allowing for a doubling in the standard of living in seventy years. Growth rates that consistently reached above 1 per cent per annum were only recorded after 1870. Yet the century and a quarter of sustained growth since then has had spectacular effects, transforming life for people in the countries that have stepped on to the growth elevator and creating a yawning gap between the 'haves' and the 'have not’s. In fig. 1.7 we plot the relative per capita incomes of economies in 1960 and 2000 against the 45 degree line. Points that lie relatively close to the diagonal represent countries that have seen very little change in relative living standards over the past few decades compared to the USA. 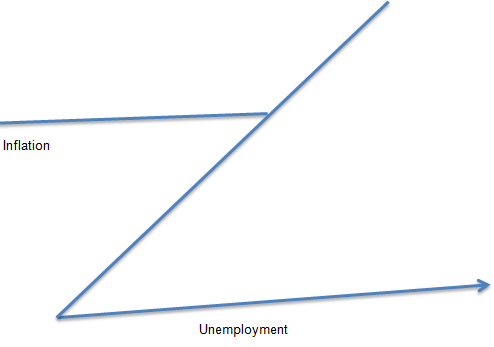 Points that lie above the diagonal represent countries that have experienced positive relative rates of economic growth. The plot also shows that within the cluster of points in the lower left corner, representing the poor countries of the world, many have experienced deterioration in their relative position. Only very few countries that have had relatively low incomes per capita in 1960 have seen a significant improvement in their relative living standards, and can thus be identified as growth miracles. These form the loose cluster of points to the left of the 45 degree line and include most of the Asian economies but also Botswana, Mauritius, Cyprus and Romania. Countries represented by points to the extreme right of the 45 degree line correspond to economies that have seen a deterioration of their relative position over the past few decades and are thus labeled as growth disasters. Notable examples include Chad, Iraq and Venezuela. However, if we were to perform the same analysis on sub samples of the data set, such that the countries that we include are relatively similar in terms of their economic, social, political or historical experience we will obtain a strong negative relationship between the growth rate of income and the initial starting position, thus confirming the convergence hypothesis. GDP = sum total of gross value added of all the firms in the economy. GDP includes the market value of all the items produced in an economy and sold legally through the markets. It measures the market value of bananas, onions, potatoes, grapes, movies, health care, haircuts, etc. Goods and services: GDP includes both tangible such as food, cloth, houses, cars, etc and intangible goods such as haircuts, health care and house cleaning. When an individual buys a book from a shop, he is buying a good and its purchase price is a part of GDP. When an individual pays to hear music by a famous group he is buying a service, and the ticket price is also a part of GDP. Produced: GDP includes goods and services produced currently. It does not include transaction in goods produced in the past. Within a country: GDP measures the value of production within the domestic territory of a country. When an Indian citizen works in Britain, his production is part of Britain's GDP. Thus, items are included in a country's GDP if these are produced domestically, regardless of the nationality of the producer. In given period of time: GDP measures the value of production that takes place within a specified period of time usually an accounting year. GDP measures the economy's flow of income and expenditure per annum. Arthur, J. (2013). Advance Statistics of GDP by State for 2013 by NAICS Sector. Bureau of Economics Analysis , 1-6. Downie, J. (2011). Measuring GDP. World Economics , 2. Gregg Marland, T. L. (2014). GDP: No one metric can rule them all. nature , 1-9. Hannesson, R. (2009). "Energy and GDP growth. International Journal of Energy Sector Management , 1-2.
ichikawa, y. (1992). Efficient chemical synthesis of GDP-fucose. The journal of organic chemistry , 1-5. Lancieri, E. (2009). omparison of GDP. World Economics , 2-6. Landefeld. (2008). Taking the Pulse of the Economy: Measuring GDP. Journal of Economic Perspectives , 22. Powers, W. (2012). Growth of GDP. World Economics , 2. Sheedy, K. D. (2010). Debt and Incomplete Financial Markets: A Case for Nominal GDP Targeting. IDEAS , 1-4. Sultan Ayoub Meo, 1. A. (2013). Impact of GDP, Spending on R&D, Number of Universities and Scientific Journals on Research Publications among Asian Countries. PMC , 1-3. Zhu, J. Z. (2013). The generally held belief that China’s consumption is too low is a myth based on inadequate theory, a misreading of official statistics. World Economics , 1-10. Zimmermann, H. (2009). Multi colored GDP. World Economics , 1-15.